The elusive, infamous and long-awaited Permis de Séjour has finally arrived! It is now in the hands of Maitre Hérold, our lawyer who is working diligently to obtain a title deed for the land at our compound in Petite-Anse. Our long-awaited dream of having a multipurpose building for our school, church, and other activities is drawing closer. CBN (Christian Broadcasting Network) has agreed to construct a building for us once the title deed is in our hands. Four cooks will soon be on their way to Arcahaie (in the south of Haiti) to be trained for our feeding program which will be starting back up soon. 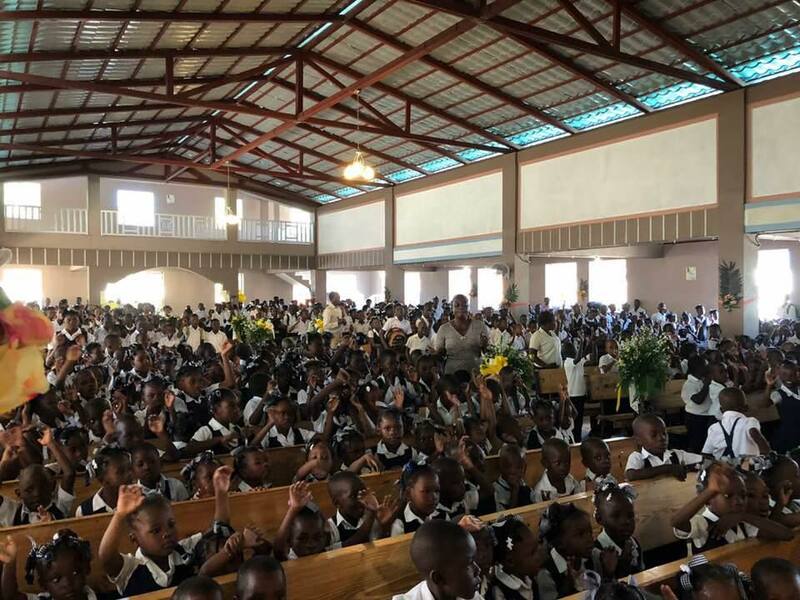 The ministry located in Arcahaie is presently feeding 9,000 children a day. Our cooks will get some very valuable experience which will include cooking on a large scale and learning to implement extra items (such as pre-packaged food) into the staple diet of rice and beans. The plans are still being worked on to send a year’s supply of food by a military plane to Port-au-Prince. Once it arrives to the nation’s capital, it will be transported by truck to Cap-Haitien. We have just come through Mardi Gras season. There was a very unfortunate accident that occurred in Port-au-Prince during the festivities. Sixteen people died and over sixty were severely injured due to a faulty power line. Celebrations were called off and the nation mourned as these victims were given a state funeral and laid to rest. Toussaint (our security guard) has been in Port-au-Prince for the last couple of weeks. His wife was in the hospital with an infected foot. Two toes were removed and we thought the infection was contained. Unfortunately, her right foot had to be amputated and after all this time, she is still in the hospital with complications. Forced to deal with the harsh reality of living in Haiti with a disability is a heavy burden to bear. Already having been living apart due to Toussaint’s finding a job in Cap-Haitian, this only amplifies their situation. Please remember this family in your prayers during this very difficult time. We’re delighted to be able to share about the good things that are happening here in Haiti. Many of you have helped us bring these things to pass through your prayers. We would also ask you to please pray for those who are weighed down with heavy hearts. As we all know, joy and sadness can often run on parallel tracks.